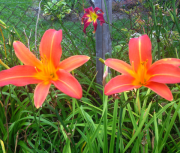 Good Bud count i.e. 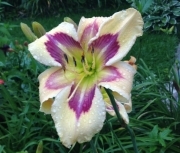 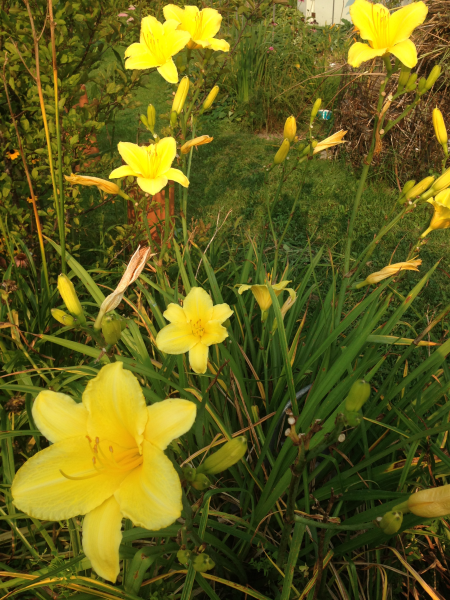 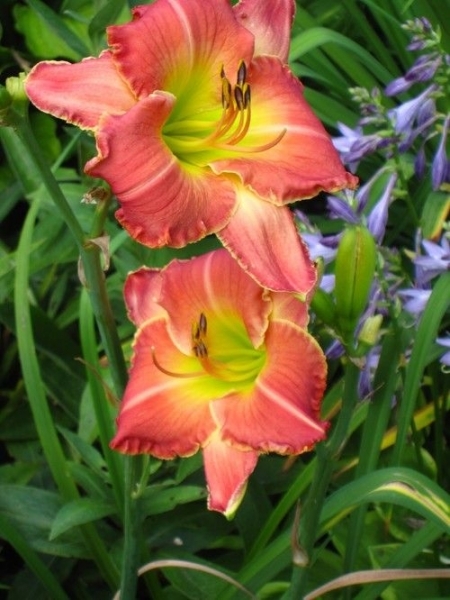 lots of daylily blooms which open spaced over a period of time which gives plants a long season . 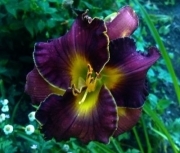 Rebloom i.e. 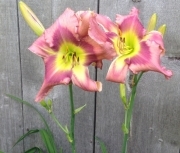 the daylily plant grows a new scape to replace the older bloomed out scape . 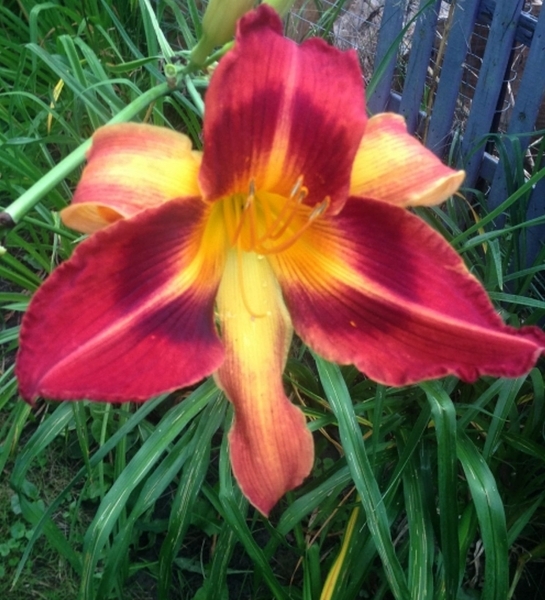 Instant Rebloom i.e. 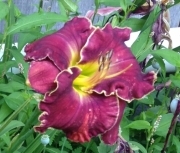 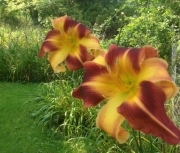 the initial daylily scape has not finished it’s bloom cycle and a new replacement scape is growing up to replace it which translates into a long very floriferous blooming plant . Fertile plants i.e. 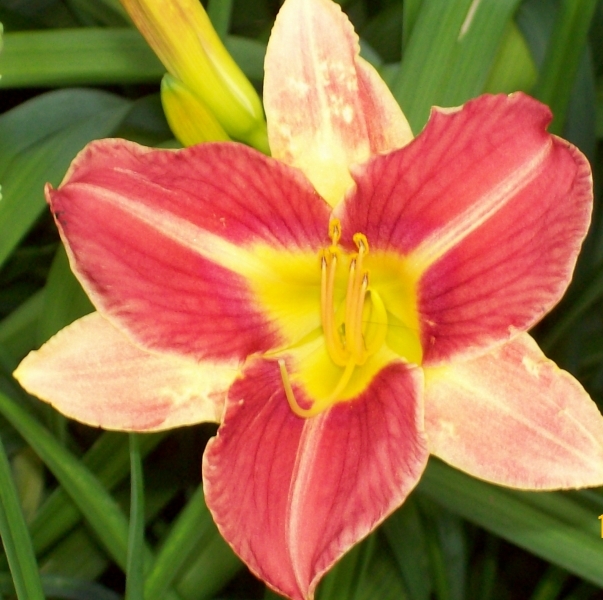 not all daylilies are fertile that is to say they don’t all produce seeds .This can be for many reasons . 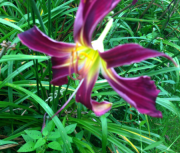 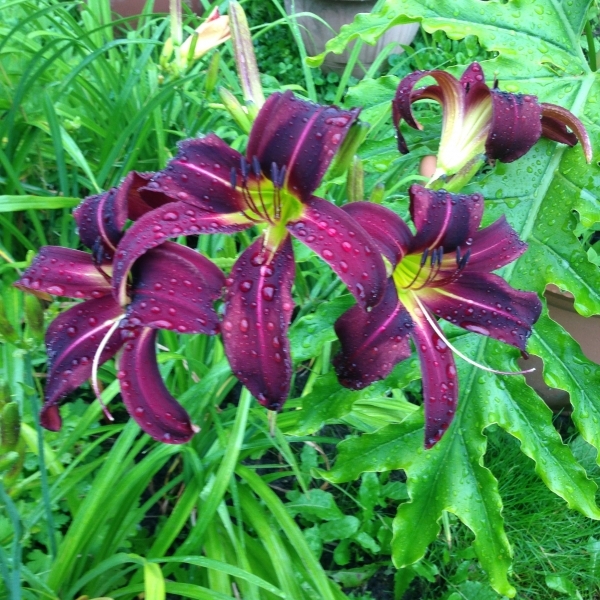 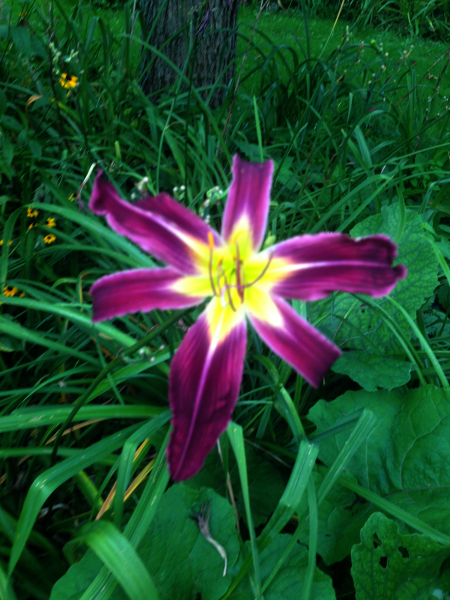 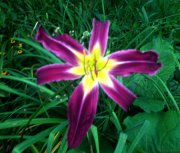 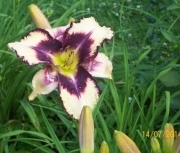 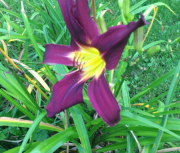 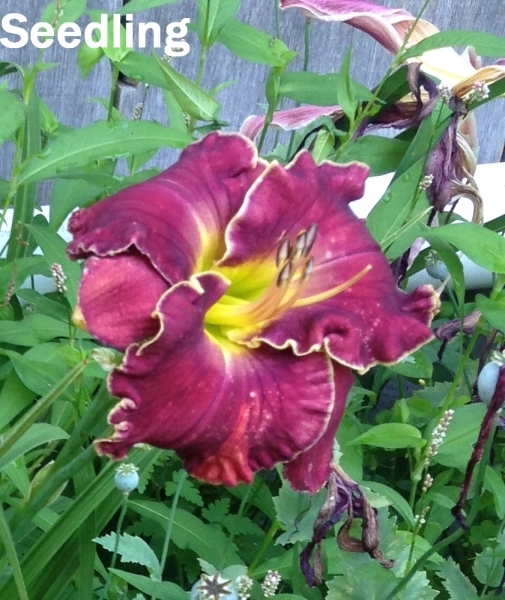 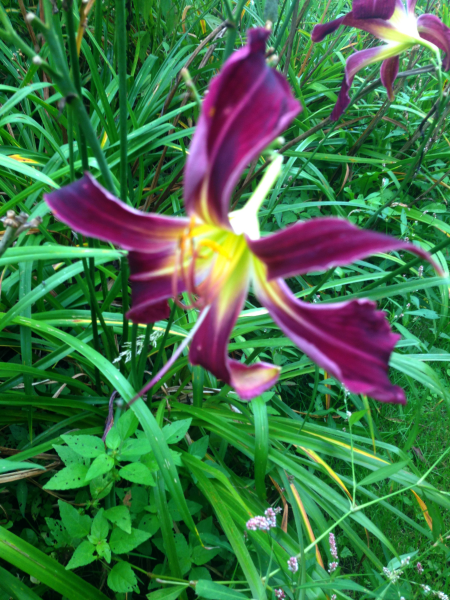 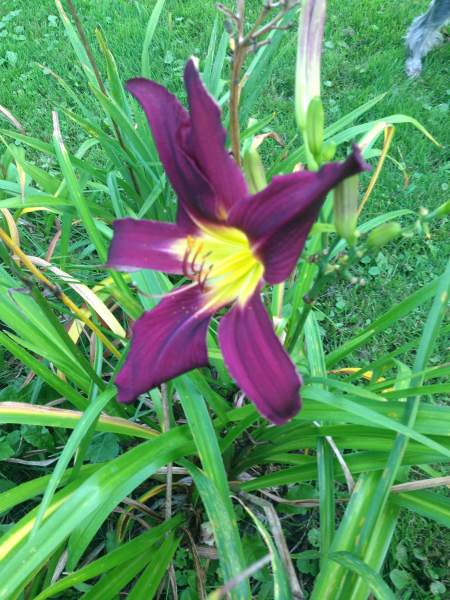 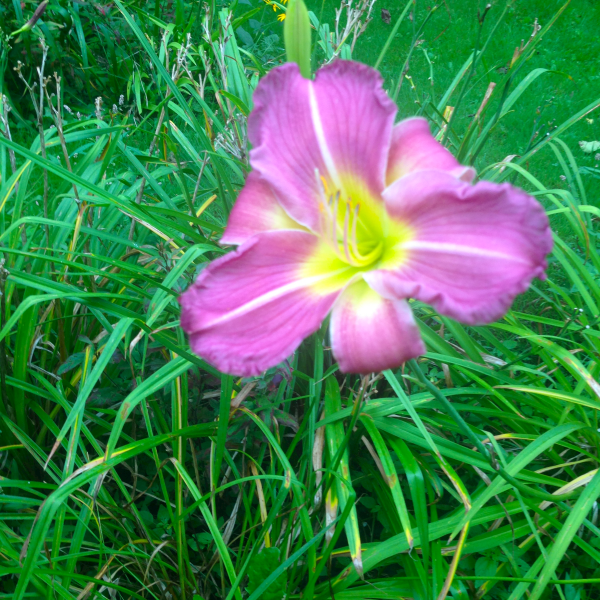 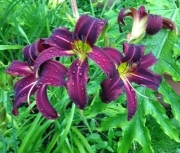 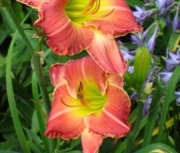 Some daylilies are stoloniferous . 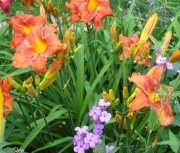 This means they propogate by sending out runners underground and so don’t need to produce seed. 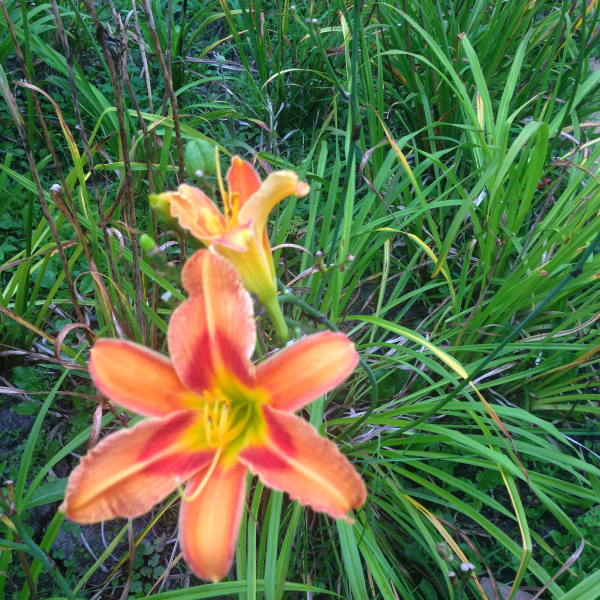 Some daylilies are fertile only one way . 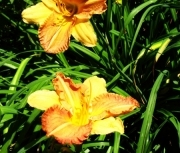 That is to say they may be pod fertile i.e. 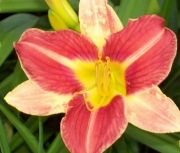 able to produce seeds or pollen fertile i.e. 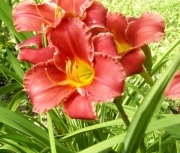 they are not able to produce seeds but their pollen can be used on other daylilies to produce seed. 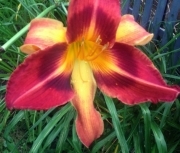 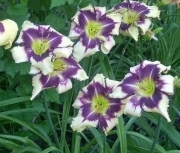 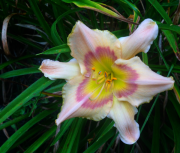 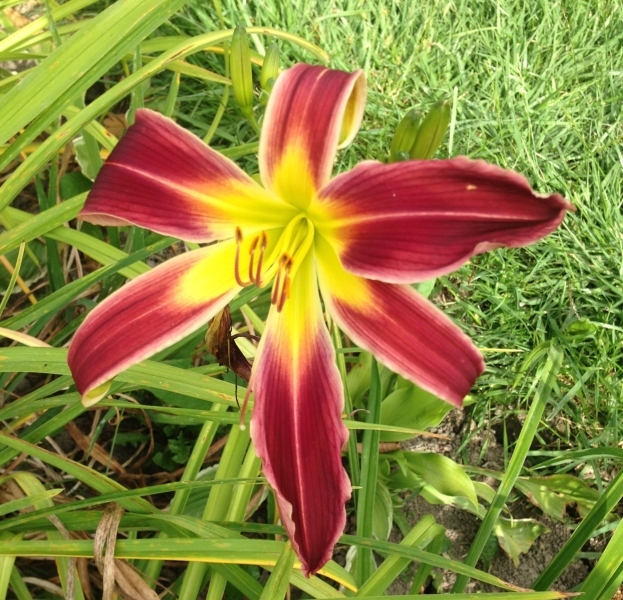 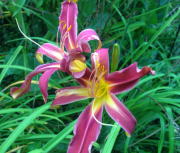 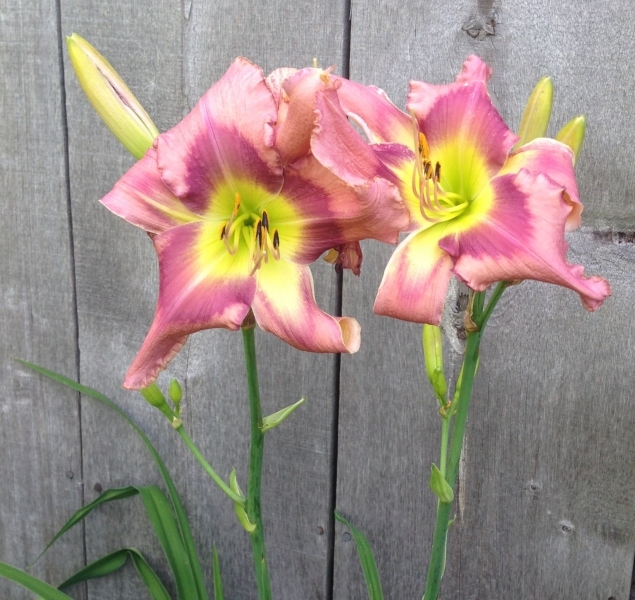 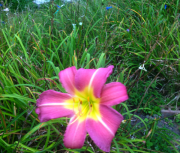 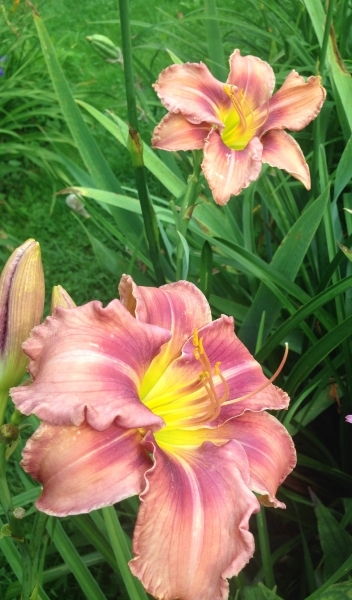 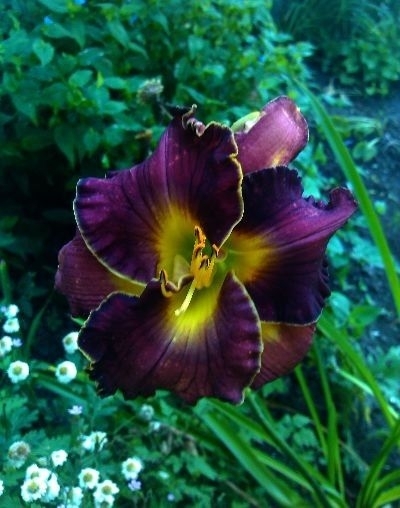 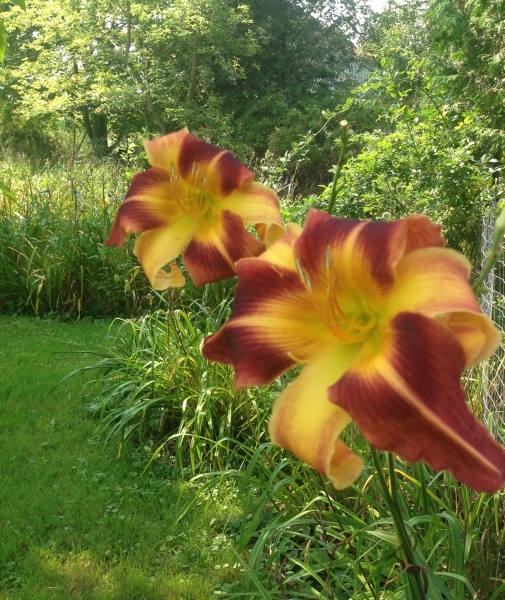 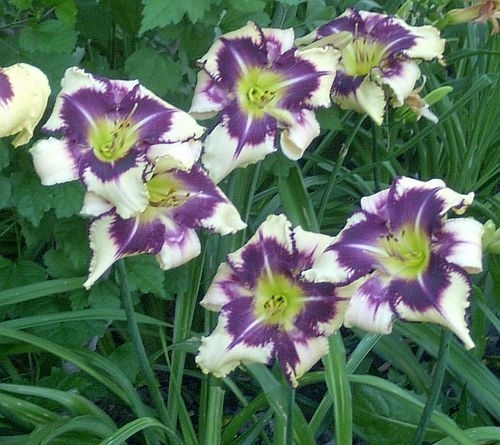 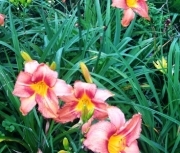 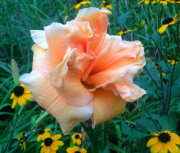 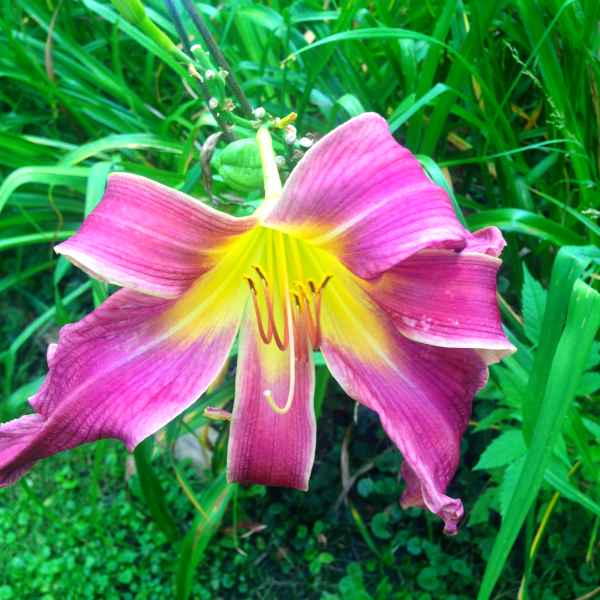 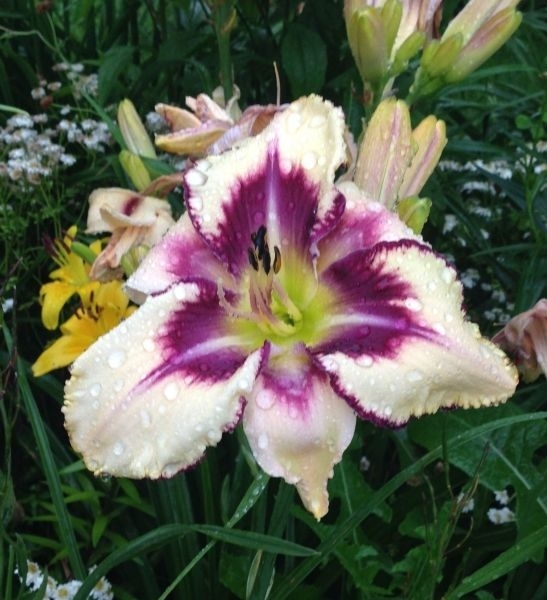 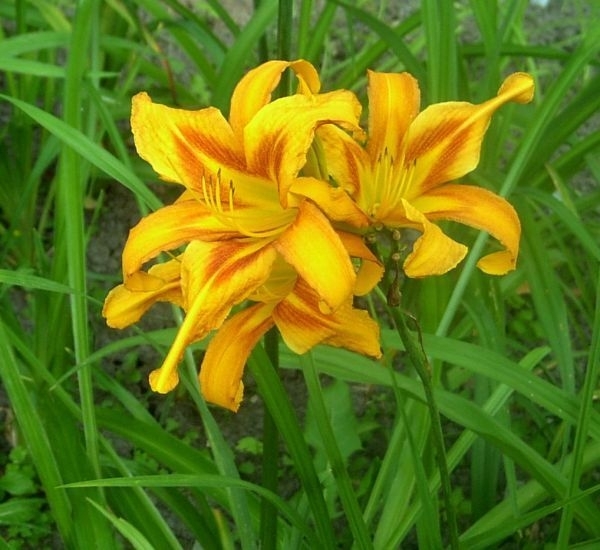 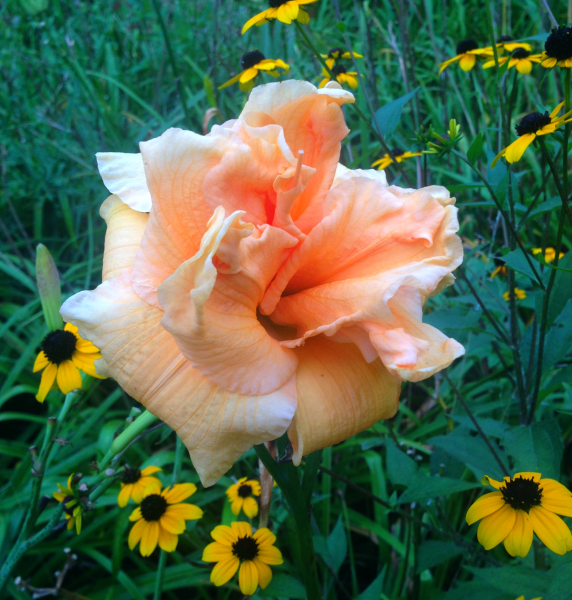 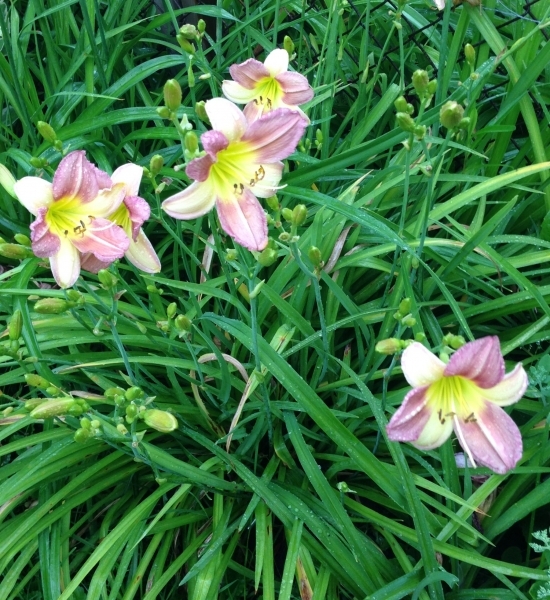 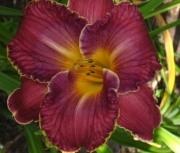 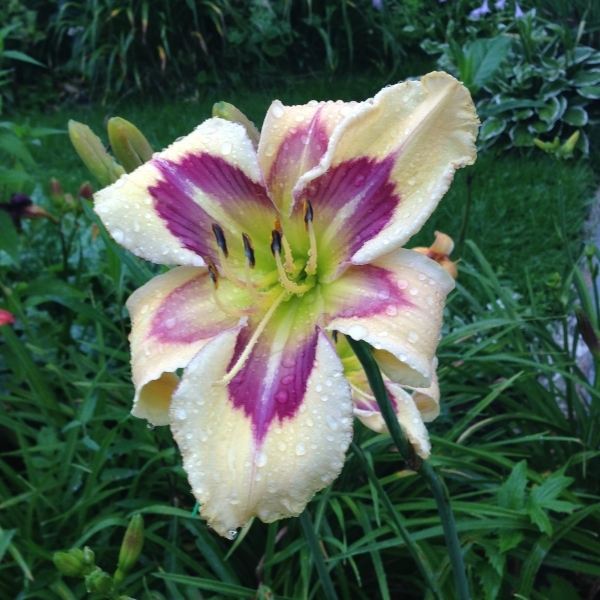 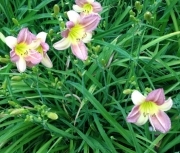 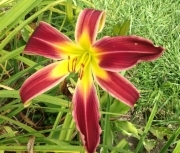 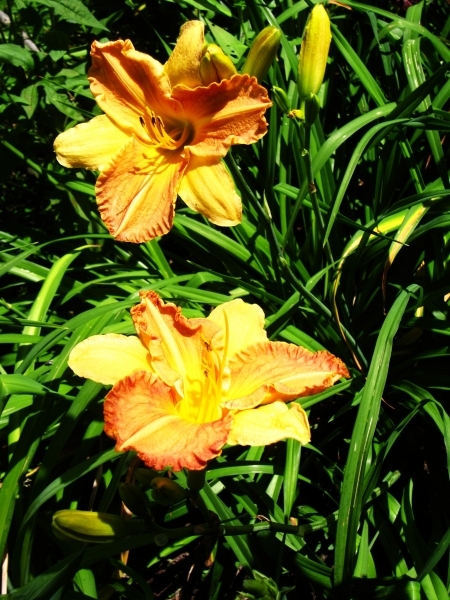 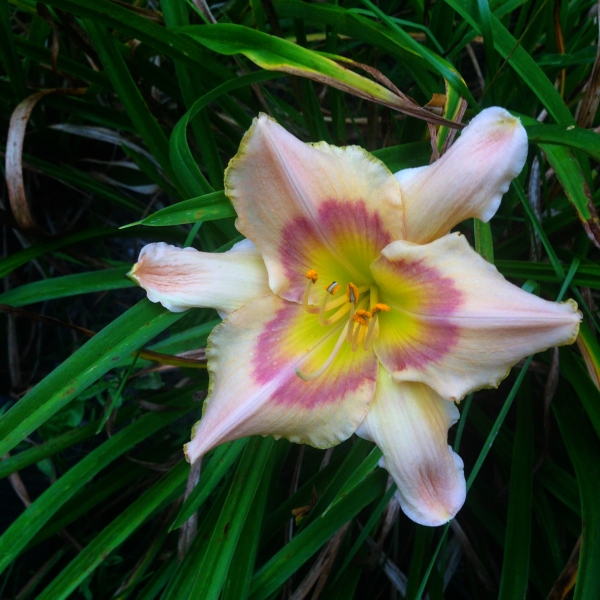 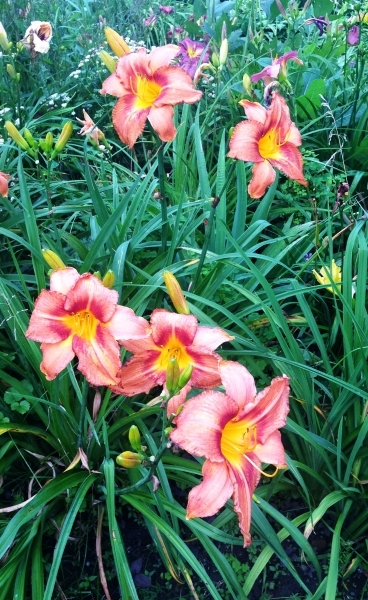 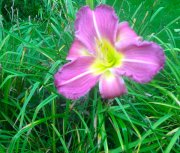 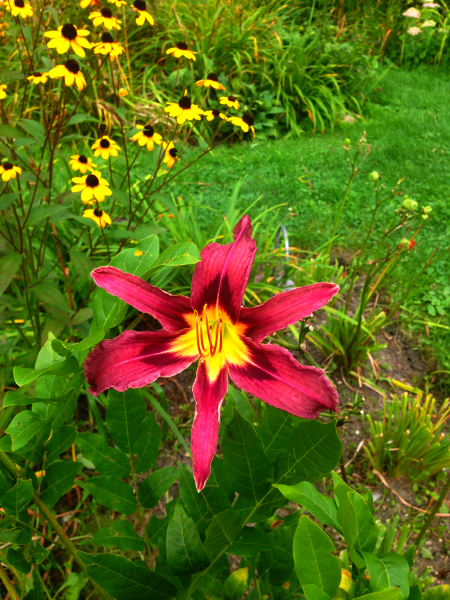 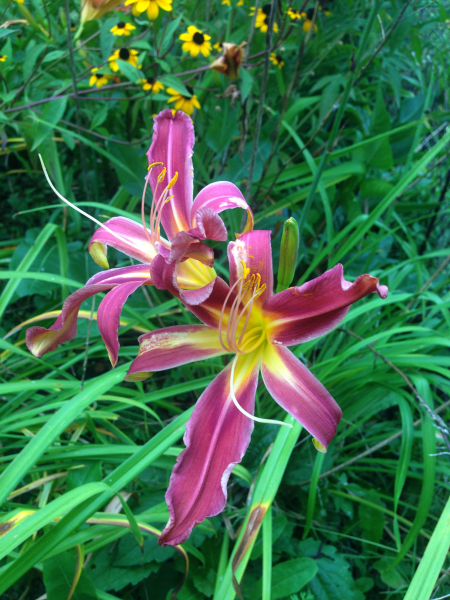 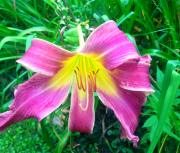 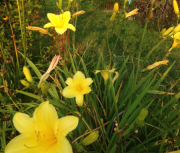 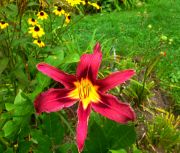 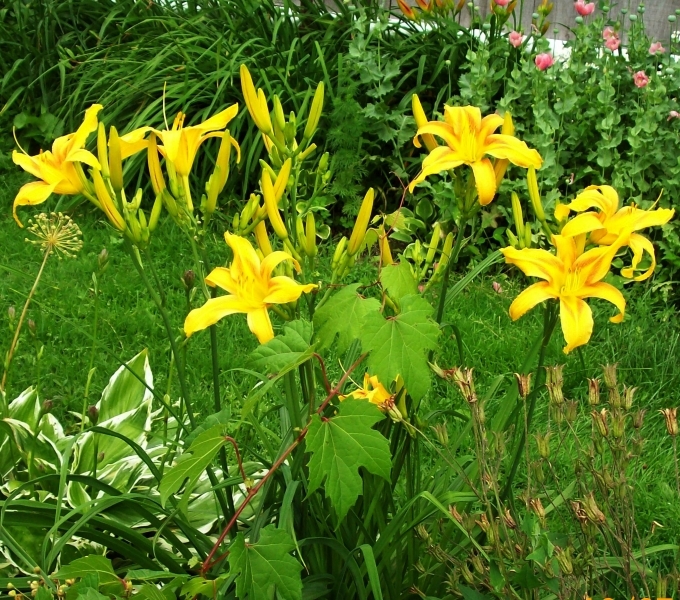 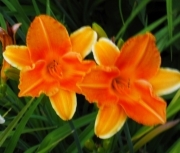 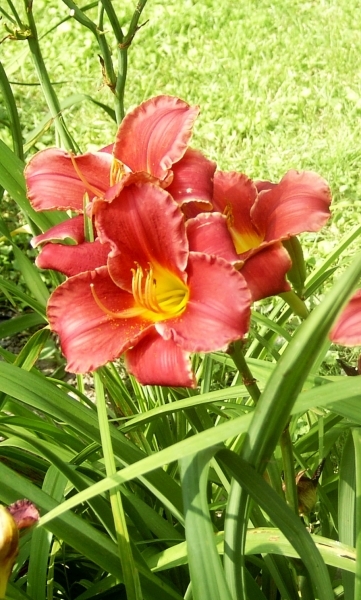 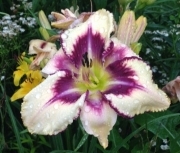 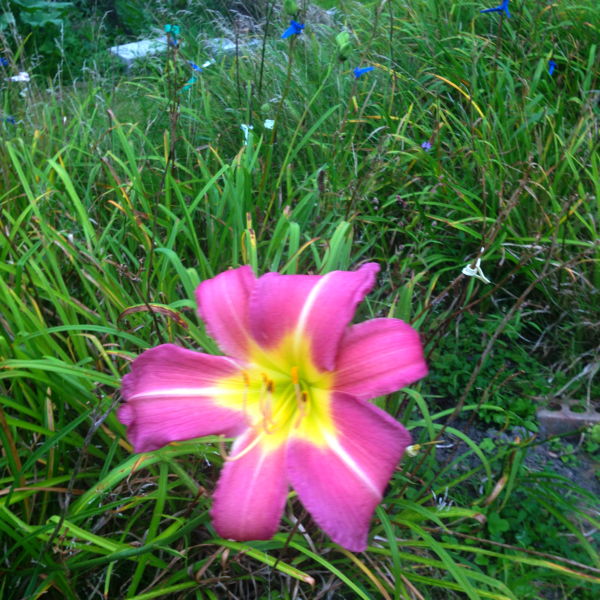 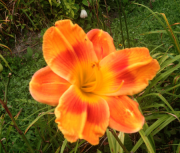 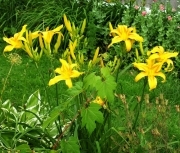 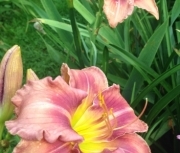 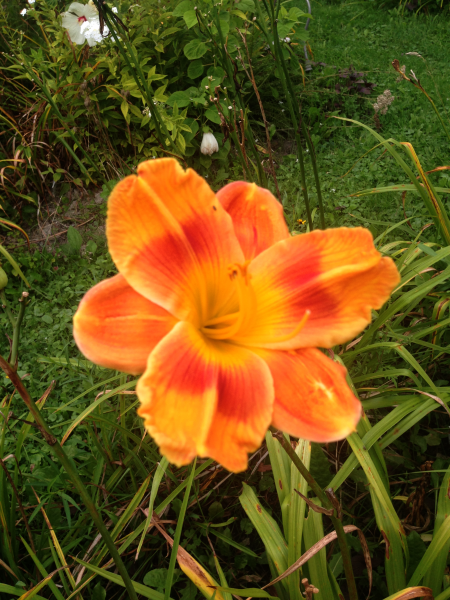 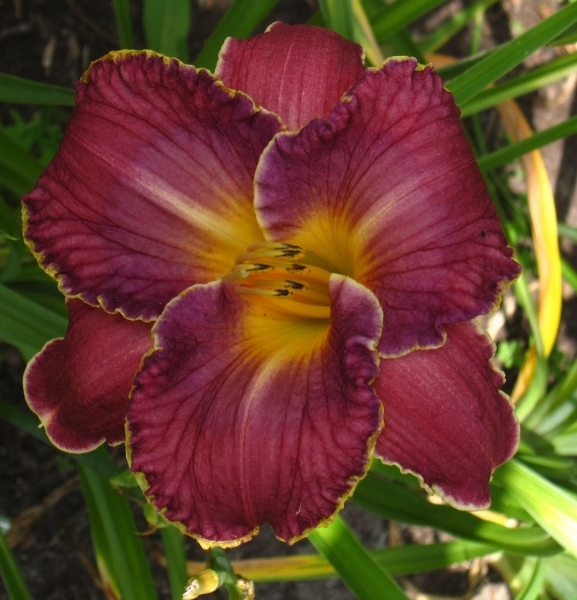 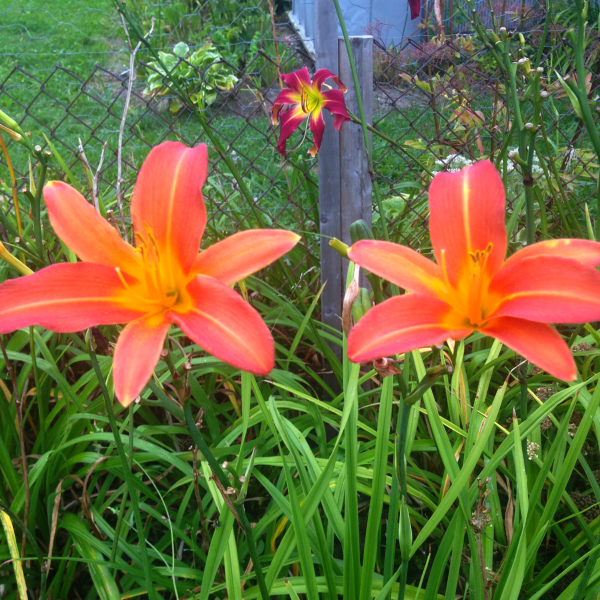 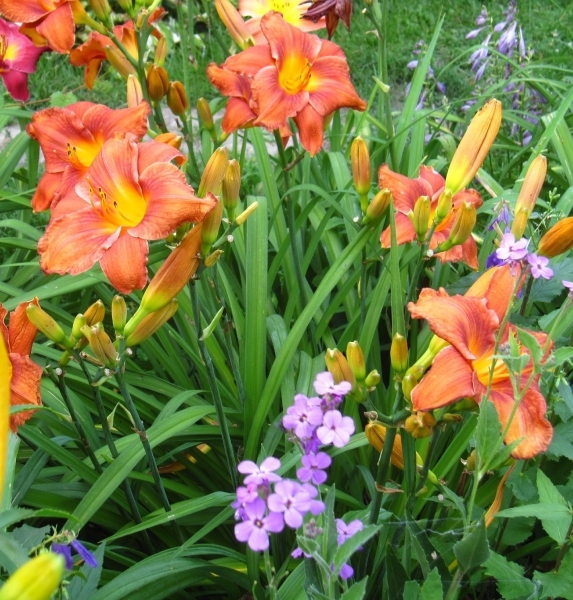 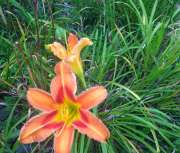 Most daylilies are both pod and pollen fertile.